Check out our review of the Sony Xperia Tablet Z. The rumors surrounding a new Sony Android tablet were on the money, as the company has announced the Xperia Tablet Z, a device to which we were only recently introduced and few expected to be made official before Mobile World Congress. Sony has a good reason not to save the Xperia Tablet Z for MWC though, as so far it only lined up a Japanese release. 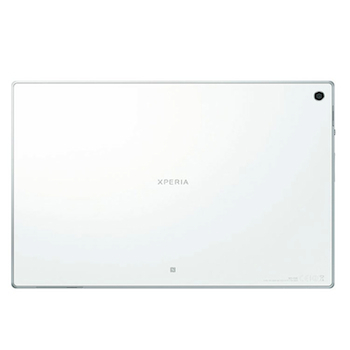 Sony has abandoned the unusual, folded paper-style design seen on the Xperia Tablet S, deciding instead to make the Xperia Tablet Z a more traditional slate with an extremely thin profile. It measures just 6.9mm thick, which is noticeably slimmer than the 9.4mm thick iPad and 8.9mm Samsung Galaxy Note 10.1; plus at 495 grams, it’s at least 100 grams lighter than both its primary rivals. The screen measures 10.1-inches and has an impressive resolution of 1920 x 1200. Billed as a Reality Display it uses Sony’s Mobile Bravia Engine 2, a feature introduced on the new Xperia Z, Xperia ZL and Xperia V smartphones. which enhances contrast, sharpness, colors and brightness while reducing noise on still photos and video. A quad-core, 1.5GHz processor powers the Xperia Tablet Z and although it’s not stated in the brief press release, it’s most likely the same Qualcomm Snapdragon S4 Pro used in the Xperia Z phone. Previous Sony tablets have used Nvidia’s Tegra chip. The tablet is water and dust proof, plus it’s also equipped with an 8.1-megapixel camera, NFC, LTE connectivity, S-Force surround sound and Android 4.1 Jelly Bean as its operating system. Sony will release the Xperia Tablet Z in Japan in the spring, but no exact date has been provided, and the price remains unknown too. Despite announcing it before MWC, the tablet should still be at the show, when Sony may pleasantly surprise us all by providing an international release date. 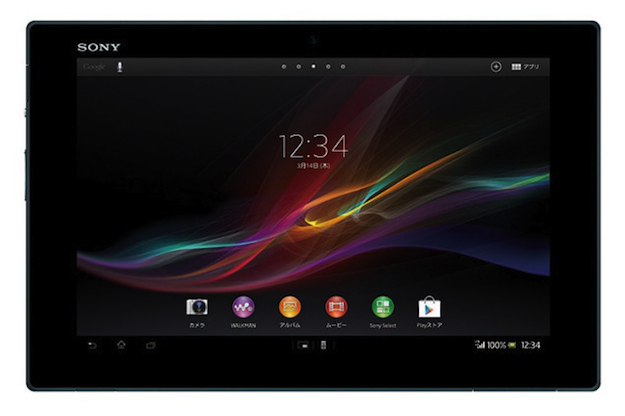 Sony’s announcement of the Xperia Tablet Z follows the unveiling of the Xperia Z smartphone at CES 2013.